Where's the Hype for Super Smash Bros. and Mario Kart 8? Another day, another article expressing disappoint in Nintendo. Yesterday marked a special Nintendo Direct, one devoted to revealing details about one game and one game only: Super Smash Bros. (for Wii U and for 3DS… this game needs a better title). For thirty-nine minutes, Nintendo talked and for thirty-nine minutes, I listened. I cannot say it bored me to the point where I shut it off halfway through, but one thought was materializing in my head as I listened: I should be more excited than this. Not the first time I’ve had that thought during a Nintendo Direct. The one before the “special Smash Bros. edition” also didn’t catch my attention too much either. The focus of that one: Mario Kart 8. Hold on, Mario Kart? Smash Bros.? These two series are nothing short of awesome and arguably the best things coming out from Nintendo these days. I think both games will be great, I already own a Wii U, so why don’t I really care? There is one than one reason but the main problem is this: too safe. My main reason for sticking with Nintendo, despite their numerous problems, is their creativity. I believe that this is a company that does not simply make games to make money. Call it naivety, call it romanticism, but I really do believe that most people who work at Nintendo are passionate gaming artists who like to make fantastic worlds never before seen (and impossible to exist in the real world). You know: people who are excited…. but these games don’t sound exciting. Scratch that, Mario Kart 8 started out as a really cool idea. A racing game that allows players to break gravity to compete along the walls and ceilings? Suddenly all the courses change, all the options change: the game encounters a fundamental change. New and different, pushing the boundaries of gameplay: this is why I love Nintendo. But that wasn’t what they talked about last time Mario Kart 8 received a Nintendo Direct. 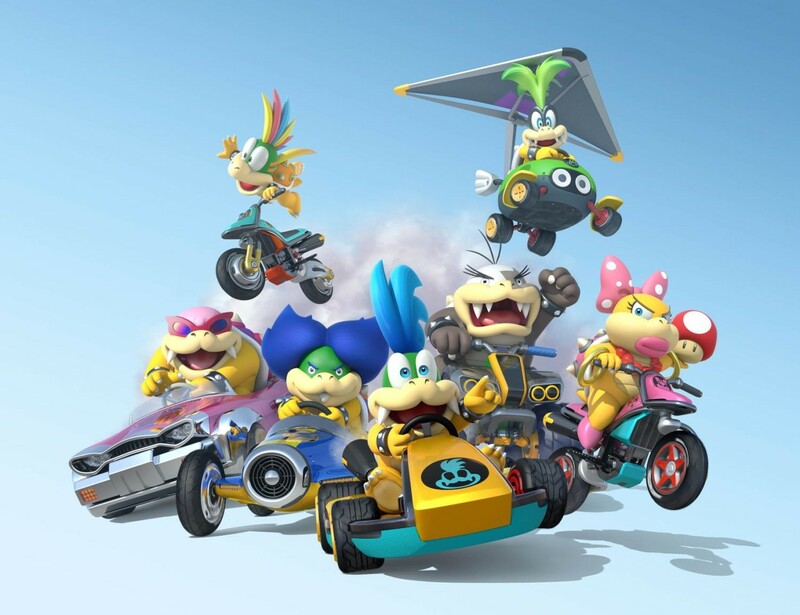 Koopalings, and a late-May/early-June release date. Yay. Oh man, I wasn’t going to pay sixty bucks before but now: gotta have my koopalings. If Nintendo had chosen to focus on the new video recording feature in Mario Kart 8, the one that (I believe) let’s racers record their highlights and post them online to the Miiverse, now that sounds more interesting. The internet, that fad that Nintendo seems to believe will die out any day now, represents a gateway to a lot of interesting changes that they could be implementing into their games. Let’s go to Smash Bros., a series that I really love. One of my favorite gaming announcements ever was the reveal of Solid Snake in the first Super Smash Bros. Brawl trailer. 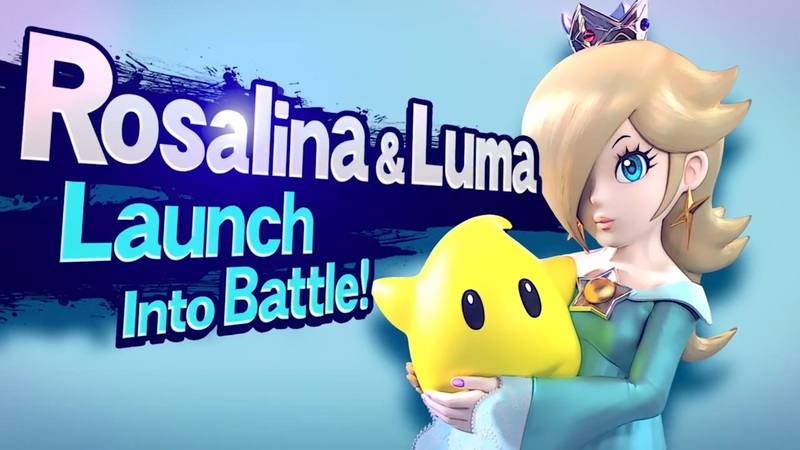 It represented such an insane new direction for the series: characters I would never have expected to be in a Smash Bros. game may now be in a Smash Bros. game… except that was it. Nintendo has never since matched that excitement with any Smash Bros. announcement that has occurred since then. The announcement rippled out past Nintendo circles to affect the industry. I guess this is the point I have been driving at: who, outside of Nintendo and their diehard fans, cares about all these new announcements? Yesterday Nintendo revealed that Charizard and Greninja would be joining the Smash Bros. roster as new characters. Cool, more Pokémon… exept Charizard was already in Brawl and who really cares about Greninja? Take a good look at that Pokémon, doesn’t he remind you of someone? All I could think of. Maybe I’m wrong, maybe people have looked at these past two Nintendo Directs and have been swayed into purchasing a Wii U. That is the point after all: to generate excitement (which equals dollars) for Nintendo’s struggling console. I just don’t think they’re really doing that.